Legendary ‘prosumer’ loudspeaker manufacturer ATC has launched a new high-end integrated amplifier to complement its passive loudspeaker range. Priced at a cool £2,203, the new SIA2-150 stereo integrated amplifier has a 150-watt rating that’s delivered in Class A, at up to two-thirds of its output. Although details are very limited, TechRadar has also learned of a matching CD player that’s due for launch towards the end of 2008. Carrying an impressive six-year warranty the SIA2-150 features four line-level inputs, a “massive” power supply and a low-noise preamp circuit. The amp’s facilities include a preamp output, line output and a remote handset with control over gain, input selection and mute functions. Styling has improved massively, too. The sleek-looking 2008 amplifier is a far cry from the muscular black and silver amp it replaces. 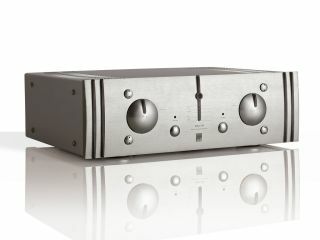 Hi-Fi Choice will be the first publication to carry a review of the new amplifier in the UK.